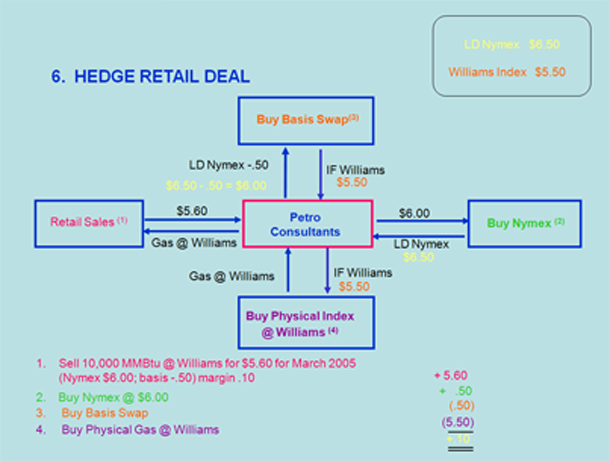 With Petro Consultants, you can choose from full price certainty in financial and physical markets. Our physical trading unit provides arbitrage oportunities between different geographic (basis) locations. Our optimization process focuses on using firm and interruptible transportation and storage assets to maximize profit potential. PCI also has sophisticated financial tools to hedge producer supply in open market exchanges. You may choose for some market exposure via an index based price plan, or concentrate on locking in a fixed price to reduce volatility. Our Producer Services business focuses on clearning gas for producers in the midcontinent. With our integrated business model all facets of our services can be designed to let you mitigate your natural gas risk appropriately. Spot Trading: Creating arbitrage opportunities between inter and intrastate pipelines. Strategic use of assets such as transportation, storage, and split-connected gas plants, enables PCI to optimize various basis differentials. PCI also provides financial hedging of producer or storage supplies. PCI can compliment any physical trade model with hedging techniques, such as fixed price, index-related, or swing swaps financial products to reduce risk and volatility. As a producer of natural gas, your goal is to move your product downstream at a competitive price. 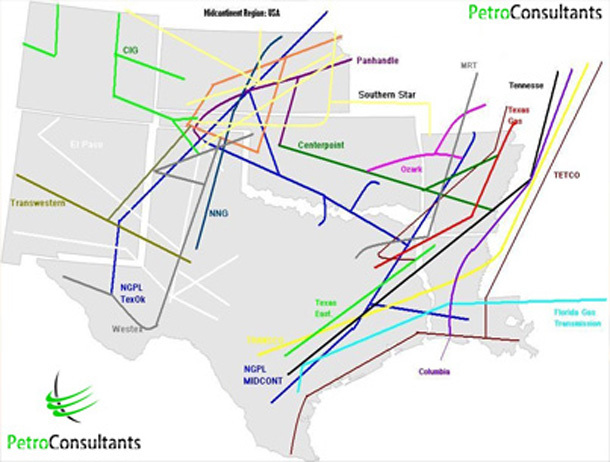 With vast knowledge of Midcontinent markets and transportation, PCI offers services to producers by upgrading net-back pricing. In this origination role PCI assists by connecting quality end user markets to producers. This service not only assists the producer in clearing aggregate supply but also helps as an origination role to service customers with constant term demand.Our experienced staff is focused on customer service and a variety of pricing options, comprehensive distribution capabilities, and timely and accurate payments. We provide revenue distribution for working interest owners and help the producer with a variety of services, including gas balancing, severance tax remittance and reporting. Fixed Price: This product eliminates market uncertainty and protects your budget by locking in your commodity price for a specified term up to 5 years. Most producer customers are best suited for a fixed price plan – because their operations ca n be significantly affected by a commodity price swing of 15% or greater. Typically these are organizations with fixed budgets whose cost of natural gas is a significant component of their total operating cost.